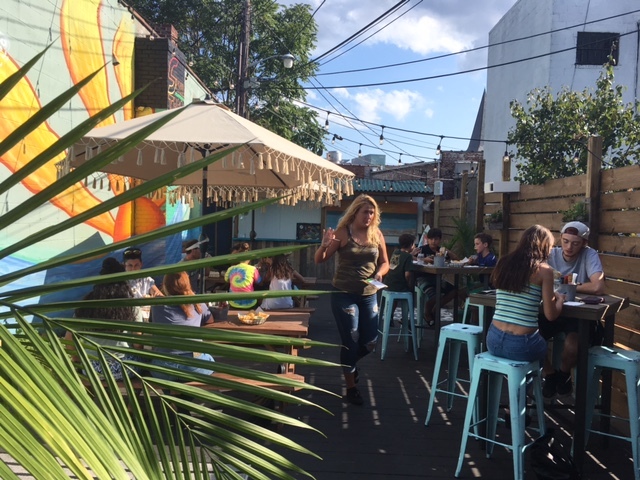 I had gotten Lynn take out at Swell Taco in Patchogue a couple of months ago and she was impressed by the fish tacos. As a result and was sure she would like to dine there at some point. Lynn, sometimes unsure of new places was hesitant to try Swell Taco out. Finally though, the memory of the great fish tacos helped pave the way for our recent visit there. 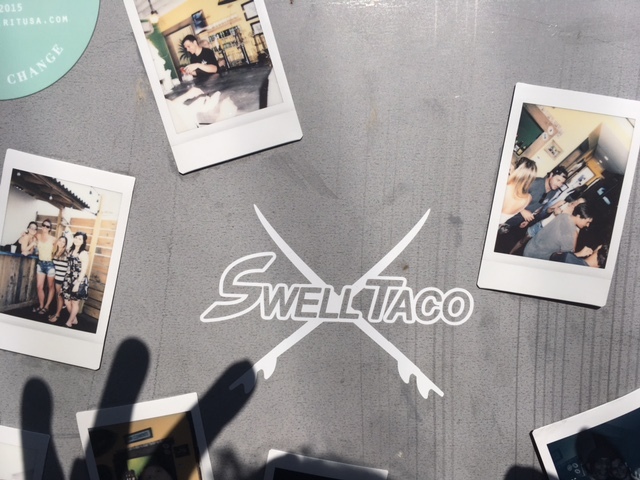 As soon as we entered Swell Taco became our new favorite place. The ambiance took us far away from Long Island and transported us to a surf shack in Santa Cruz or Half Moon Bay. 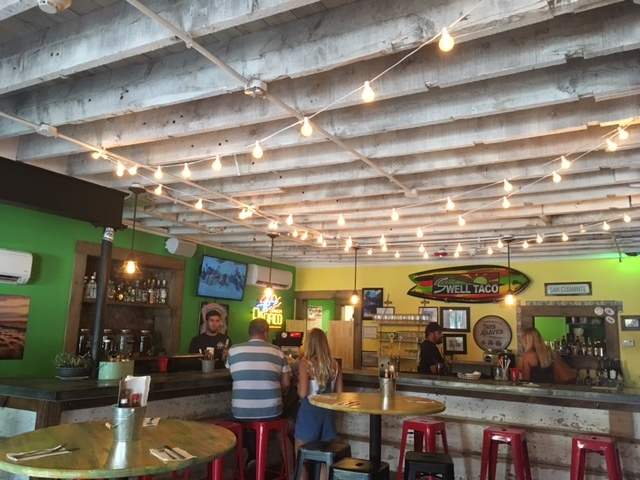 A hypnotic surf documentary played on the flat screen near the entrance; a "Swell Taco" branded surfboard floated on the wall over the bar; the attentive staff sunburned and seemingly just off the beach; a back patio that is the epitome of surf chic. We just discovered this fun, late summer treat. 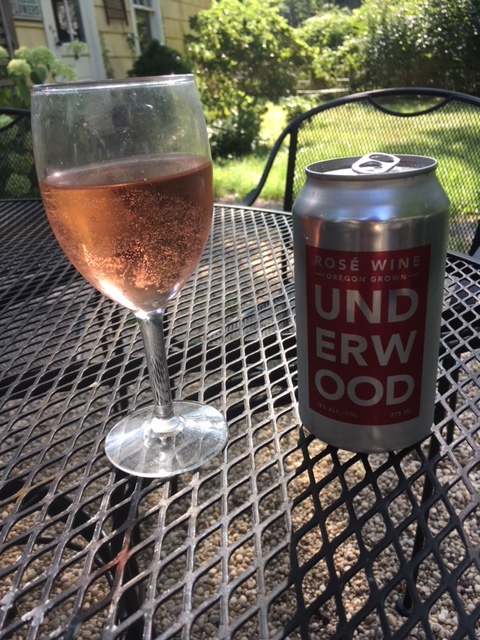 Underwood Wines Rose' in a can. We fpund it very portable hauling it to the beach and to paddleboard and of course it is fine on a hot summer day in the backyard. It had a nice tinge of cherry and the can seemed to help the wine get very cold very quickly. Lynn and I were starving one night during our recent trip to Wilmington. We had little interest in going out as we were exhausted and felt like take out was the way to go. Our daughter in law recommended Thai Spice. We ordered Seafood Salad and Pad Thai. Both were exquisite. 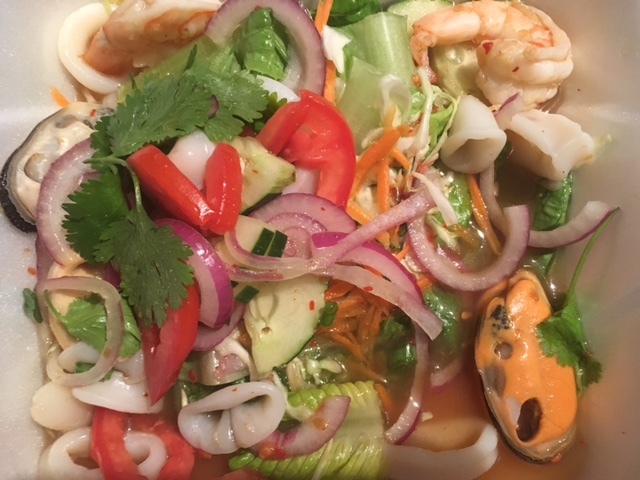 The Seafood Salad balance all of the exotic flavors beautifully and it's chill was a great tonic to the humid North Carolina night. Lynn's Pad Thai had a lightness that is rare in this dish which is often top heavy with noodles. The dining area was charming and hopefully we will be able to dine there the next time we are in the Port City. The food scene in my hometown Wilmington is hit and miss from our perspective. This is particularly true in the downtown area which has a lot of energy and a thriving night life but sees a lot of establishments come and go. One of the more established restaurants in downtown is Rx whose name is a call back to the building's previous history as a pharmacy. We had eaten there a couple of times during a visit a few years ago and were pleasantly surprised that it still was around as many established Wilmington eateries (Catch, Cafe Phoenix, Deluxe) had shuttered within the last few years. The menu tends to be heavy in the way a lot of Southern cooking tends to be heavy with a lot of fried foods, pork and sauces. Much of Rx's offerings are locally sourced which is great, however the menu has a too cute affectation with regard to identifying these sources (e.g. "Stefan's Heirloom Tomatoes") which Lynn and I found mildly annoying. 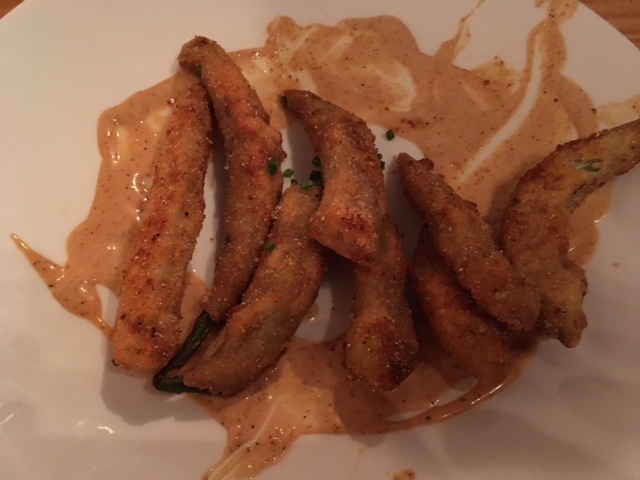 Despite the comfort food leanings of the menu Lynn and I found the okra fries a great starter with a light, almost tempura battering. 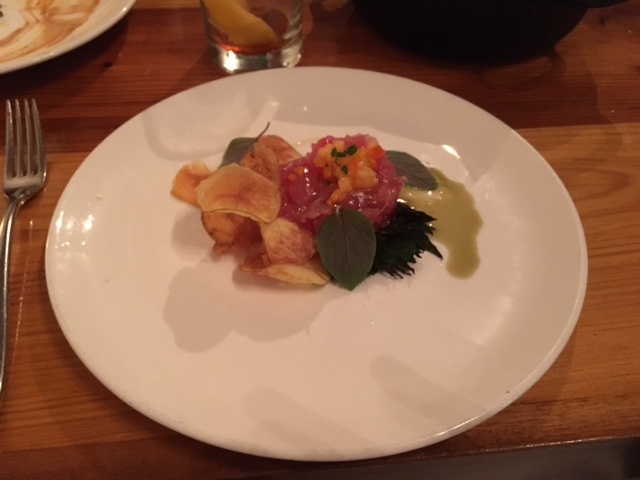 We did manage to get a nice Tuna Tartare which was a surprise considering the comfort food loaded menu. The bar also made me a nice negroni without batting an eye. The wait staff and hostess were great. Very attentive and poised even on a busy Saturday night. 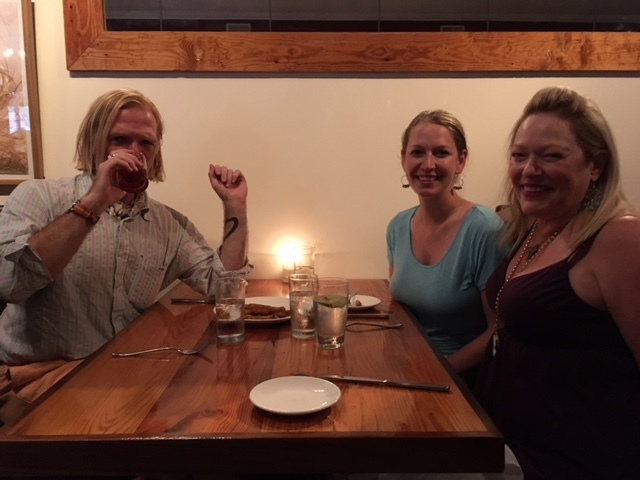 We ventured South recently and we are always interested in finding new culinary adventures. We found a sublime place in Black's Bar and Kitchen in Bethesda, Maryland. 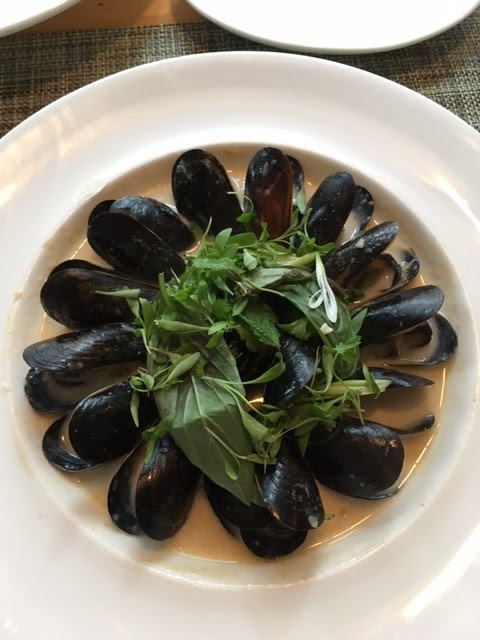 We indulged in their generous happy hour with Thai Style Mussels that were buttery and ample. 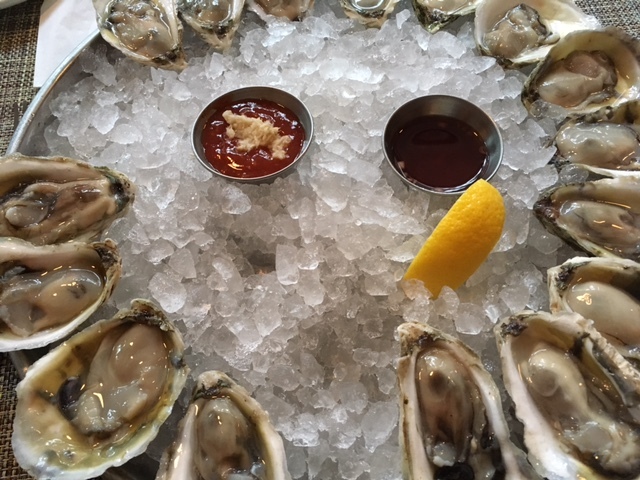 We also made our decadent way through 18 Chesapeake Oysters which were sweet and succulent. 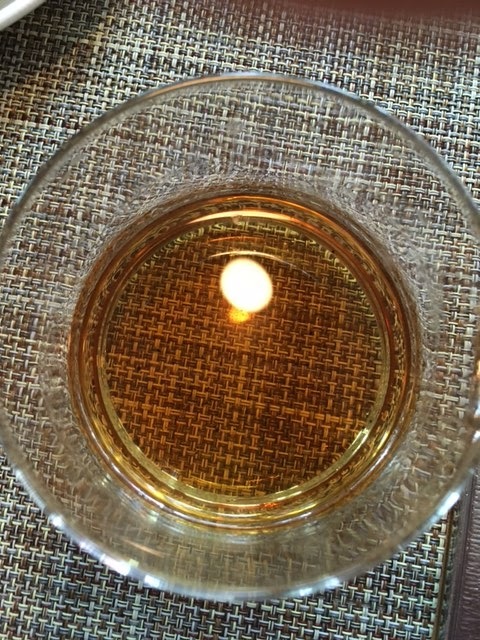 Finally, I had a potent sample of an infusion of orange and whiskey which was amazingly fragrant had a nice burn. Our attractive waitress was very nice and attentive and the atmosphere was sophisticated with great lighting and aesthetics but somehow warm and relaxed.